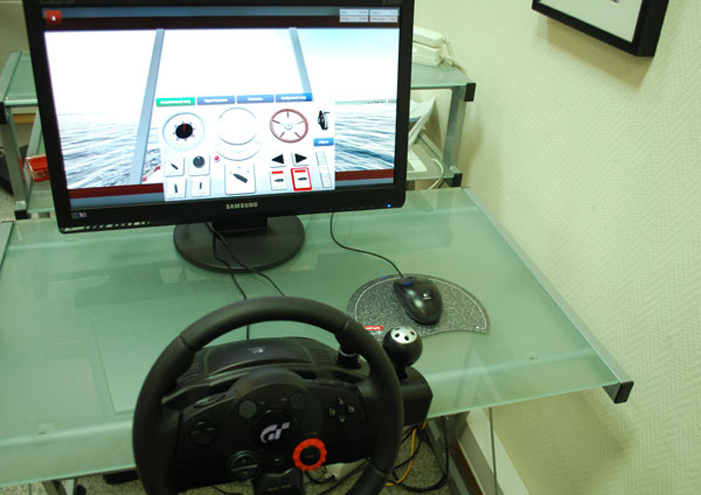 Steering Simulator for Helmsman (SSH) is designed in conformity with the Manila amendments to STCW Convention and Section А-II/4 of STCW Code. 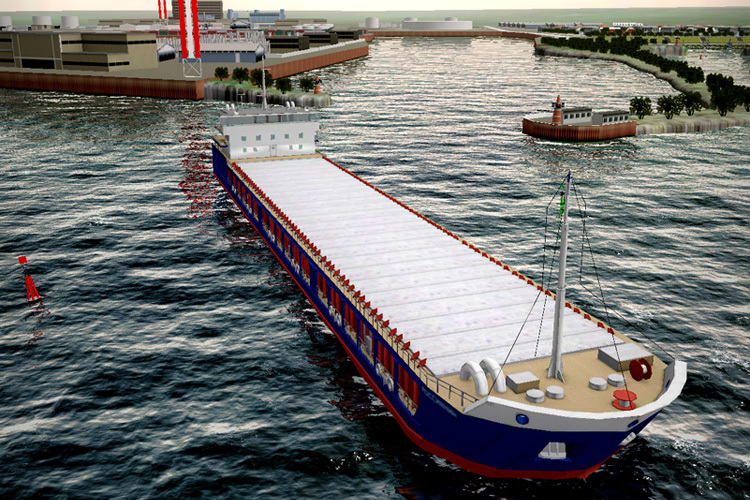 It is intended for training and demonstrating of competence of able seafarers deck and ratings forming part of a navigational watch on sea-going and river vessels. 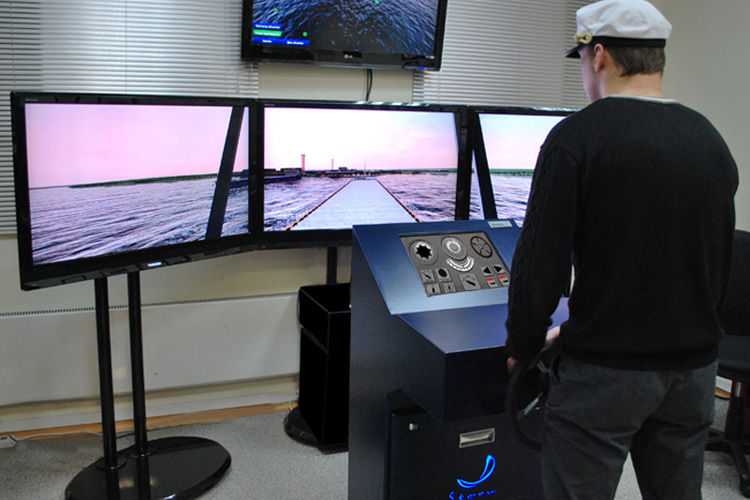 Steering Simulator for Helmsman (SSH) is developed to provide the training, demonstrating and evaluation of competence of ratings forming part of a navigational watch and able seafarers deck in accordance with Section A-II/4 of the STCW Code. Steer the ship and also comply with helm orders in the English language. 1.1. Helm orders submitted in national language. 1.2. Helm orders submitted in the English language. 1.3. Transition to automatic steering. 1.4. Change-over to hand steering. 1.5. Hand steering in the “Tracking” mode. 1.6. Hand steering in the “Manual” mode. Keeping a proper look-out by sight and hearing. 2.1. Detecting the object at daylight. 2.2. Detecting the object at night. 3.1. Training procedures to intercession on watch. 3.2. Training procedures to maintain a watch. 3.3. Training procedures to hand-over watch. 3.4. Training procedures to relief of watch. target models of merchant vessels more 4100 grt, cutter, motor boat, sailing yacht, waverunner, marine patrol vessel, FRB, liferaft. The area of inland waterways with access to the sea. Students workplace (WPS) imitates steering stand including "autopilot" ("analog" and "digital" versions with operational modes «Auto», «Manual», «Tracking», steering wheel, magnetic compass, gyro compass repeater, helm, direction finder, course recorder, binocular, visualization of the surrounding surface situation. implementation of the following steering alarms functions (to Student WorkPlace on the order from Instructor WorkPlace): the ARPA guard ring intrusion, gyro-compass failure, smoke and/or heat detectors, running light panel alarms, steering pump and motor failures alarms. 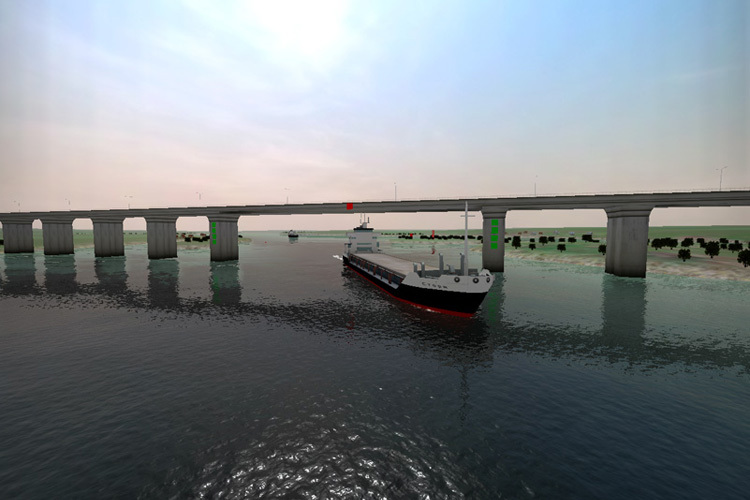 Exercises and manuals on SSH Simulator were developed in accordance with US Coast Guard requirements indicated in USCG 16721 NMC Policy Letter No. 14-02 24 July 2002, subj: "Qualifications for deck and engineering ratings". For assessment of competence of RFPNW in accordance with “ASSESSMENT OF COMPETENCE RATING FORMING PART OF A NAVIGATIONAL WATCH. (USCG 16721 NMC Policy Letter No. 14-02 24 July 2002)" STORM has developed SSH Simulator contents exercises for demonstrating of competence.